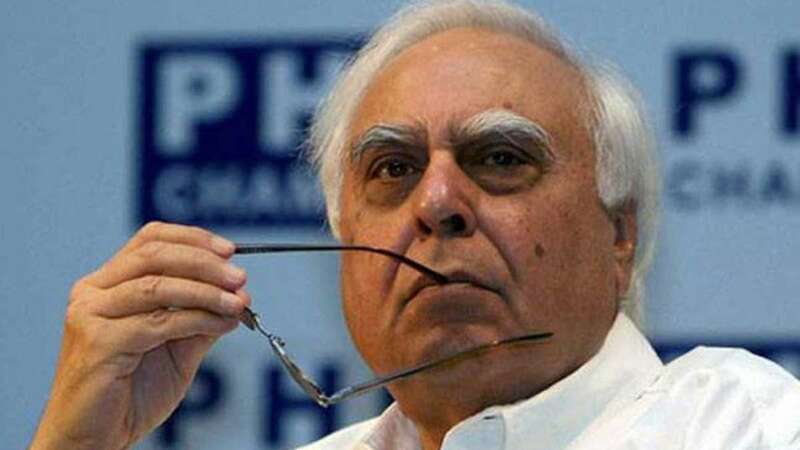 New Delhi : Senior lawyer Kapil Sibal's demand that the Ram Janambhoomi-Babri Masjid dispute should be heard after the 2019 general elections triggered a major political storm on Wednesday with Prime Minister Narendra Modi attacking the Congress and congratulating the Sunni Waqf Board for distancing itself from Sibal's plea. However, Sibal clarified that he did not represent the Sunni Waqf Board, but one of the individuals in the case. It all started with Modi repeatedly citing the statement made by Sibal in the apex court that the hearing in the Babri Masjid case be deferred till after 2019 Lok Sabha elections. "Yesterday in the Supreme Court, a Congress MP, Kapil Sibal, was arguing which is his right for the Babri Masjid. He is entitled to do that, but is it right for him to say postpone the hearing till 2019?" Modi said. "Why does he have to link a Ram Mandir with elections? Is such thinking proper?" Modi asked, accusing the Congress of linking the Ram temple issue with the elections. "Now Congress links Ram Mandir with elections. They are least bothered about the nation." The Congress on Tuesday night distanced itself from Sibal's stand saying it does not represent the party's view.Throughout the day there were statements made by leading activists of the Muslim community. Haji Mehboob, one of the litigants, said Muslims want resolution of the dispute at the earliest, differing from Sibal's stand.But some of the petitioners in the case said they support Sibal's plea. They also emphasised that Mehboob is neither a member of the Sunni Waqf Board nor does he represent the Board in any capacity. "Whatever Kapil Sibal said in the Supreme Court yesterday was said after thorough consideration and after taking us into confidence. We totally support his stand," said Zafaryab Jilani, a member of the Babri Masjid Action Committee, who is actively involved in the case since the beginning. He said it could be Mehboob's personal opinion but not the official stand of any of the parties involved. Advocate Shakil Ahmed, one of the lawyers representing the Sunni Waqf Board in the case, said Mehboob has "no connection" with his client and was "just another plaintiff". Ahmed said they have got no communication from the Sunni Waqf Board to the effect that they have any objection to the stand taken by the lawyers in the apex court. Iqbal Ansari, the son of the late Hashim Ansari who was the first litigant in the case, too said he had no objection to Sibal's arguments. In all this confusion, Uttar Pradesh Sunni Waqf Board Chairman Zufar Ahmed Farooqui, distanced himself from Sibal's statement. "The UP Sunni Waqf Board's case is being handled by two advocates, Shahid Rizvi and Shakeel Ahmed Saeed, in the apex court," Farooqui said. According to him, Sibal isn't the waqf board's counsel but representing one of the private parties in the case. Latching on to this, Modi congratulated the board "for their brave stand on the matter and disassociating themselves from the statement of Sibalji". He was addressing another poll rally in Gujarat. "When Sibal asked that, the Congress says it is Sibal's personal and individual issue. I ask you how does the 2019 general elections affect Kapil Sibal personally or the Waqf Board? Is Sunni Waqf Board contesting the elections?" Sibal also clarified that he didn't represent the waqf board in the Supreme Court and was only appearing on behalf of Ansari. "Our PM comments without knowing things sometimes. Amit Shah and the Prime Minister said I represented Sunni Waqf Board. I was never a Sunni Waqf Board lawyer. I can understand your President (Shah) saying such a thing because I don't expect anything better from him. "The PM did not check the fact that actually I never represented the Sunni Waqf Board in the Supreme Court and yet he thanked them. I request the PM to be a little more careful before making such public comments."